The skin's radiance is drastically improved when used consistently within weeks and it prevents the developing of any new sunspots with a highly advanced formula designed to brighten the skin, correct acne scars and any hyperpigmentation. It's rich cream texture is also featured with a lovely award winning oriental fragrance. Great for sensitive skin that can't handle glycolics or have rosacea. Notes: Try to be discreet with the "al zahra logo" and you may also use your own simplified variants of this logo. 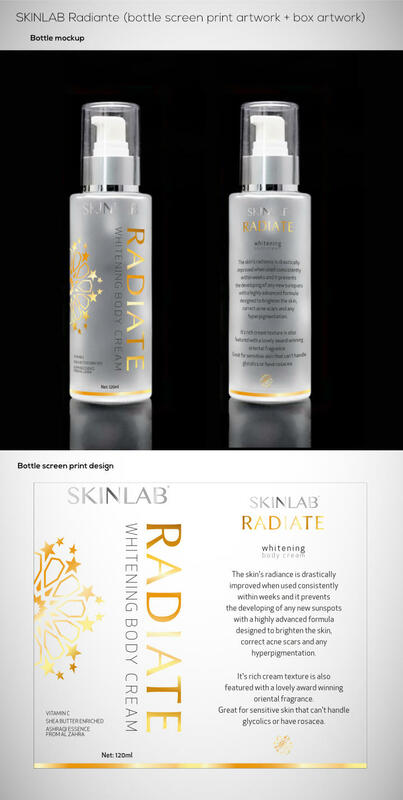 The design should be a combination of SKINLAB elegant modern style with a hint of oriental graphic somewhere.